We first start with an inspection of the fiber. 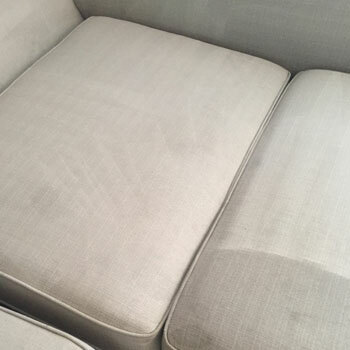 Once we determine the fiber, we use the right cleaning agent for the fabric. Then we start to gently pre-spot with a very delicate cleaning solution. We pre-spray the fabric, and begin with the cleaning process. Our upholstery tool has the spray inside the vacuum so there is no overspray in other parts of the areas. We have very minimal moisture, and we optimize drying. Next, we spray a neutralizer on the fabric to leave no residue behind. 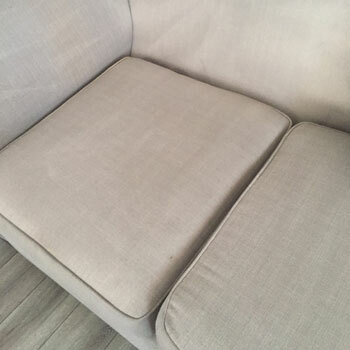 We clean all types of fabrics and fully restore them.